Hey friends! 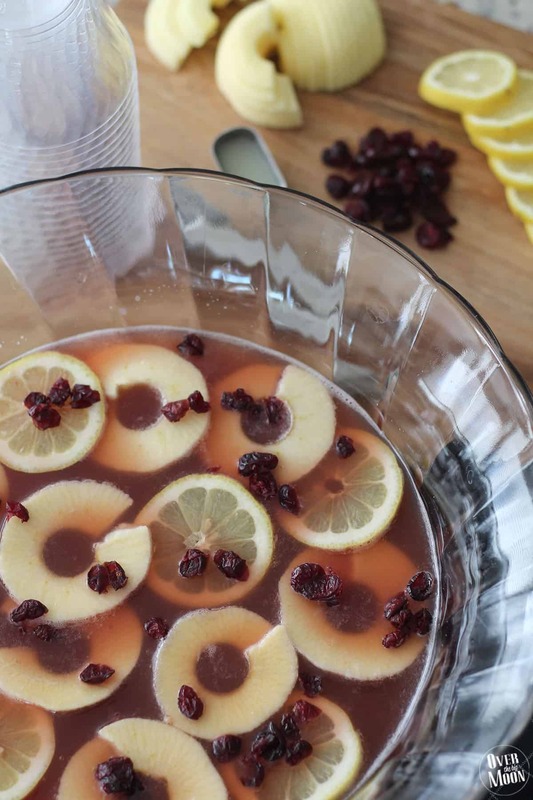 The holidays are right around the corner and I am excited to start sharing some of my favorite Holiday drinks and appetizers over the next few weeks! 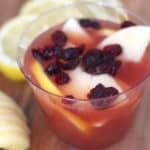 I am always up for a fun get together and drinks and appetizers are my favorite thing to contribute to the menu! First up, I am sharing this super tasty Cranberry Apple Punch! 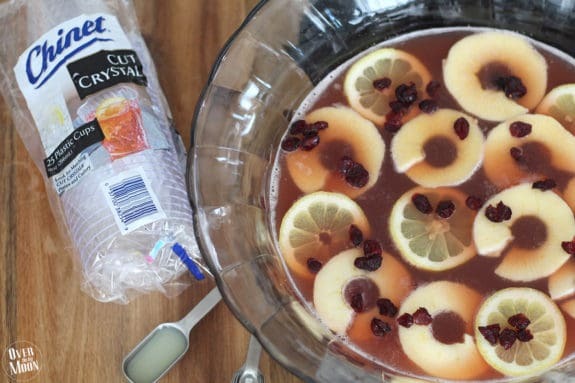 This is the perfect punch to make for Thanksgiving and Christmas parties or just for a family dinner! 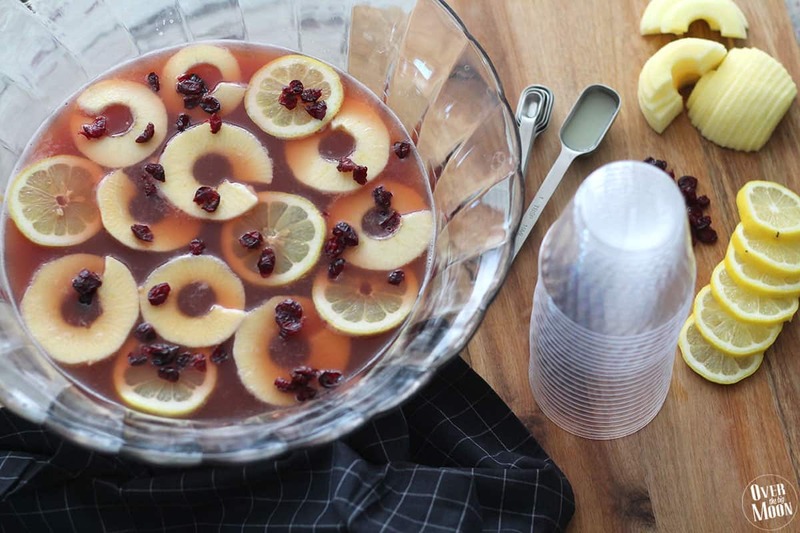 The Cranberry flavor of this punch screams Holidays in my opinon! But, honestly, can be served year around. This is always a crowd pleaser! Let’s just jump into the simple recipe! Combine the apple cider, cranberry juice, orange juice and lemon juice in a large punch bowl or pitcher. Mix together. Right before serving add the sparkling grape juice. 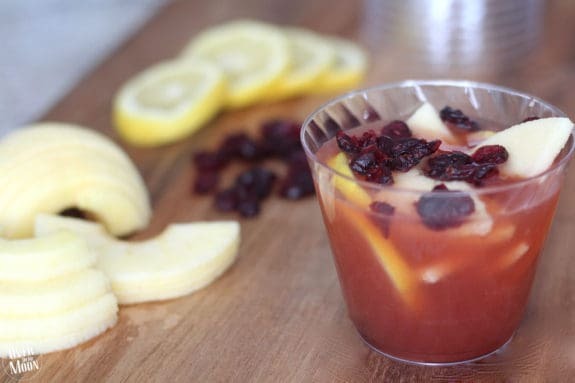 If you’d like to make this an adult only drink, you can substitute the sparkling grape juice out for a sparkling wine of your choice. 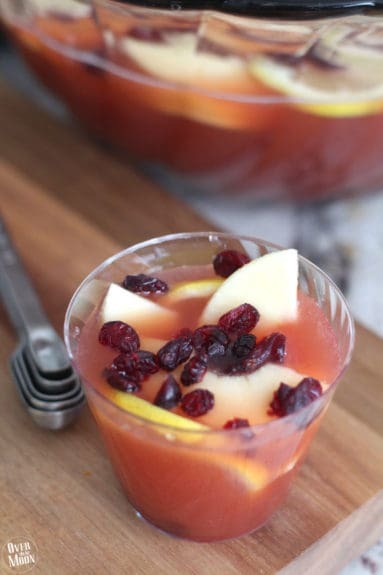 Lastly, garnish with apples, oranges, and dried cranberries. And that’s it!! 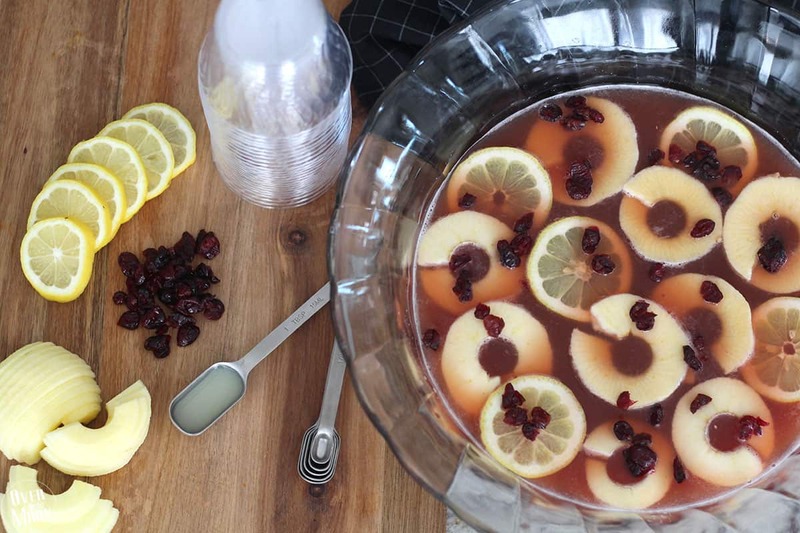 A simple punch that is perfect for get togethers with awesome flavors! 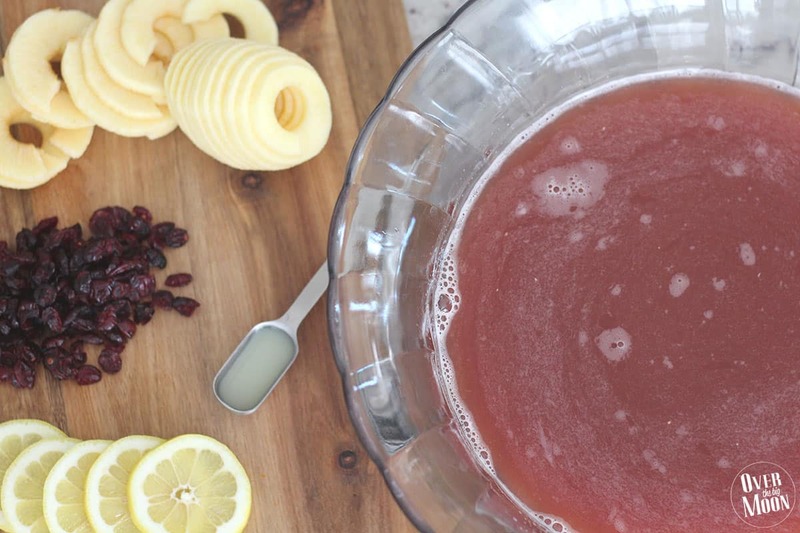 Combine the apple cider, cranberry juice, orange juice and lemon juice in a large punch bowl or pitcher and mix together. 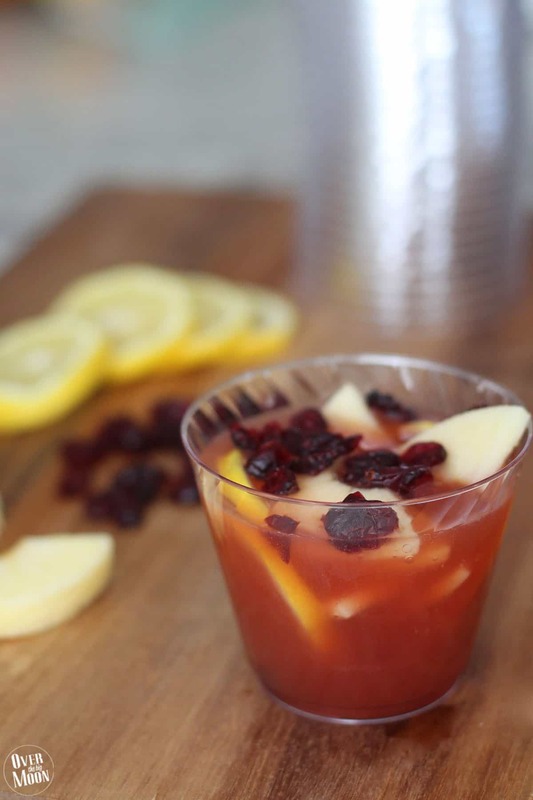 Then garnish with apples, organs and dried cranberries. I like to have extra apple slices, orange slices and dried cranberries next to the punch bowl to add additional garnishes to my cup. If you'd like to make this an adult only drink, you can substitute the sparkling grape juice out for a sparkling wine of your choice. I also like to cut up extra garnishes to put to the side of the punch bowl! 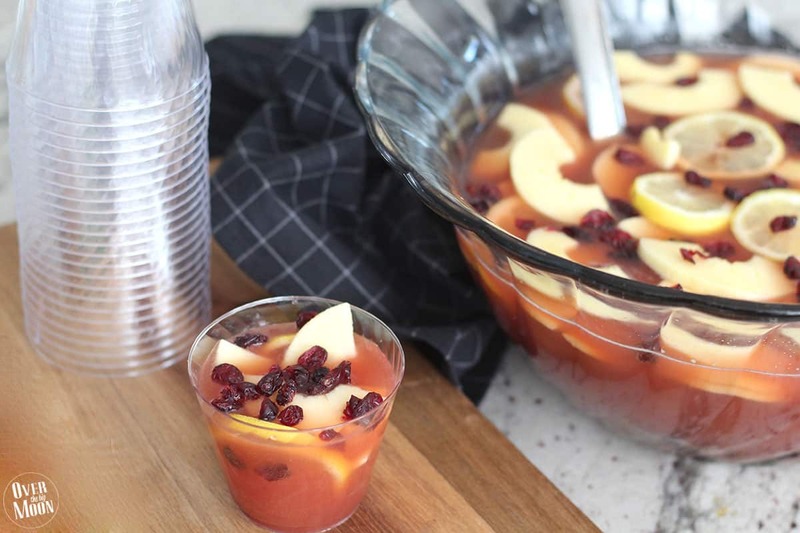 That way you and your guests can put a few in the cup cup, before adding punch out of the punch bowl. And then you can leave all the garnishes on the top of the punch! 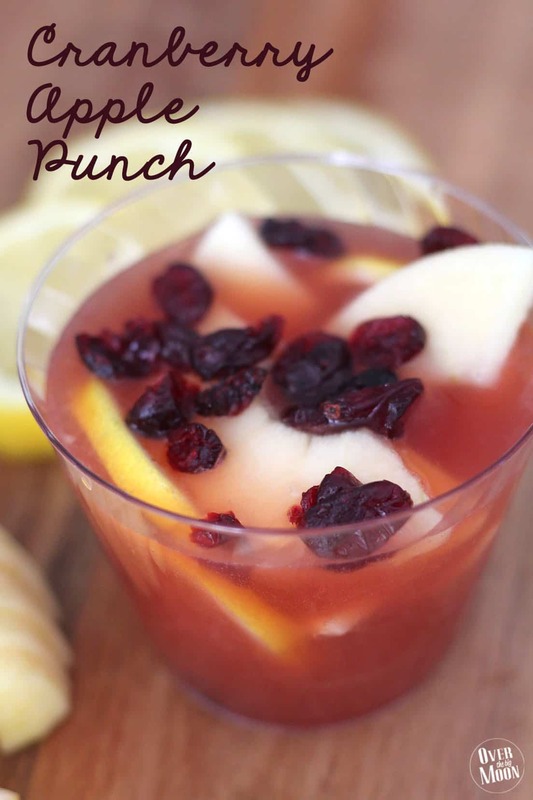 I mean that is what makes this punch so pretty after all! 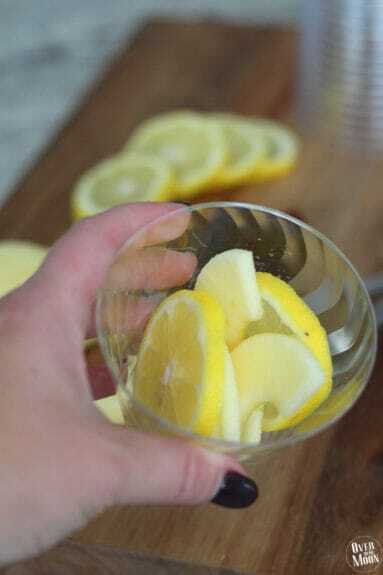 The recipe is super simple and can be put together in just 10 minutes! And of course, I make my life easy by serving my meals and drinks with Chinet® products! The Chinet® brand is big advocates of bringing people together to celebrate. I am obsessed with the Chinet® Cut Crystal® 10 oz. tumblers. I use them to serve drinks at almost all my get togethers because they’re the perfect size, pretty and top notch quality! The entire Chinet® Cut Crystal® products are amazing and I know are going to simplify my life this holiday season. 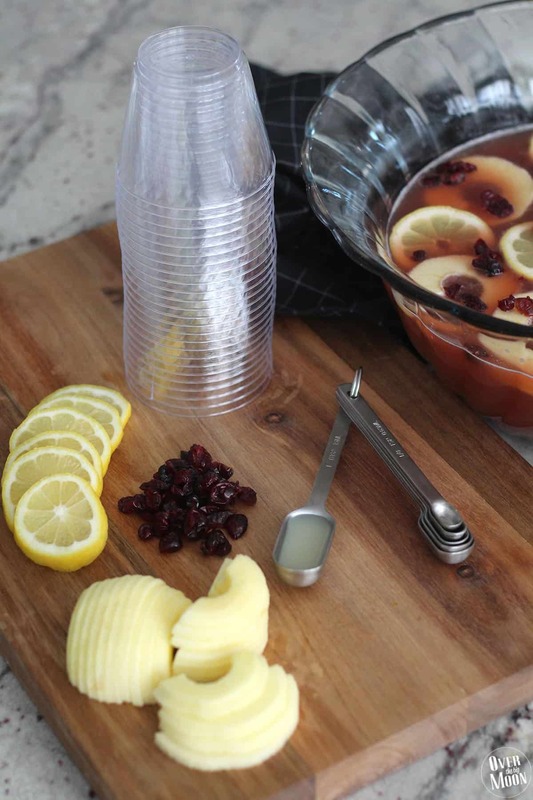 In the Cut Crystal® collection they offer plates, cups, cutlery and now, stemless wine glass. So, that means all your tableware can coordinate! And not only do they have a stylish elegant swirl pattern, but they’re premium quality. No one is going to have any spills or leaks! And clean up is going to be a breeze leaving me extra time to visit with my guests! Make sure and stock up on your Chinet® Cut Crystal® 10 oz. tumblers (150 ct.) at the upcoming week long sale November 11-17, 2016 at Costco Wholesale. Shoppers will receive a flyer with a $2.85 off coupon! If you’re like me you have any problem using all of those this Holiday season! Stay tuned over the next few weeks for more new Holiday drinks and appetizers! I also mentioned that I love bringing appetizers to parties too! Here are some of my favorite! Don’t forget to shop that great deal at Costco for the Have a great holiday season friends! May it be filled with lots of yummy food, drinks and friends! 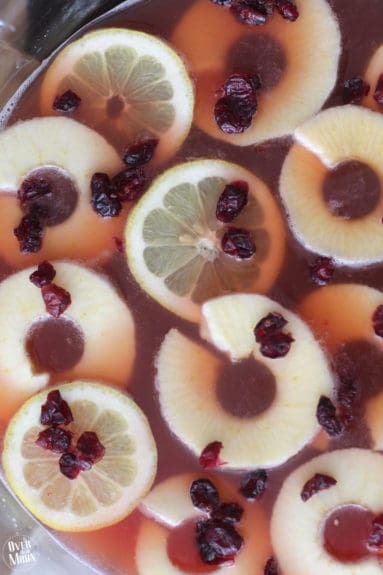 If you love this Cranberry Apple Punch, I’d love you to pin the image below! You’ll love it – promise! It’s so tasty!! This is one of our favorite holiday drinks! (And great minds think alive because I’m sharing a similar recipe on Friday!) Also, I LOVE those pretty chinet cups for serving at every party I throw–they look classier than regular plastic cups. So funny Lauren! Can’t wait to check out your version Friday!